It isn't every day an impoverished young gentleman inherits a sizable fortune and an estate. Nickolas Pritchard, not only impoverished and young, but a gentleman as well, felt his luck acutely the day just such a remarkable inheritance fell upon him. The future has never looked brighter for once penniless Nickolas Pritchard. Now in possession of an unforeseen legacy from a distant cousin, he can finally woo the exquisite Miss Castleton, belle of the London Season. What better setting for matchmaking than Ty Mynydd, his ancestral home nestled in the untamed hills of Wales? Ideal, indeed . . . except for the ghost. For nearly four hundred years, Gwen has walked the halls of the home in which she lived — and died a mysterious death. But despite centuries as the reigning force within her ancient residence, nothing prepares her for the charm and unexpected appeal of Englishman Nickolas. Runtime 6 Hrs. 7 Min. I was pleasantly surprised by this book. 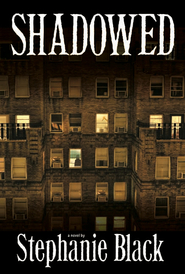 I wasn't sure about the story line and I had never read a book by this author but I really loved it. It was well written and I loved how well I could envision each scene because of the wonderful descriptions. I loved the characters and the real suspense comes in how these two people can be together. It was interesting, funny, insightful and a sweet romance. I really liked it and I have read it twice now. Great book. I just have to say it . . . Sarah M. Eden is probably my most favorite Covenant authors! 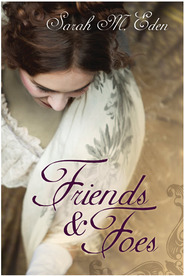 With her quick-witted, sassy, and flirtatious characters set in the romantic Austen-esque time period, she could write about pretty much anything and I would still love it. And An Unlikely Match definitely lives up to the high standards Sarah has set. I love that this story combined so many genres: romance, paranormal elements, and historical fiction. It had a sweet (and quite interesting) love story as well as a rich background of Welsh history. 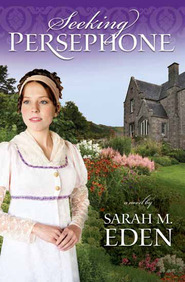 Though I already knew what to expect from Sarah's romantic historical fiction, it was fun to see her branching out into the paranormal genre as well. And the ghost, Gwen, just happened to be my favorite character! It was probably quite a challenge to create a 400 year old character who isn't even human. But of course Sarah is so talented that Gwen turned out to be quite realistic no matter what you believe about ghosts and the afterlife. I especially liked that Gwen was still so strong-willed and feisty even after all the things that she had been through. An Unlikely Match is everything I have come to expect from Sarah Eden - well written, well researched, romantic, fun, and highly entertaining! The book is interesting but a little odd. You have a ghost and a human falling in love and you know that one has to either die or come back to life to make anything happen. The end was a bit rushed. Overall I enjoyed it but was glad I checked it out at the library. WOW! This book is AMAZING! Nickolas has gone from being impoverished to inheriting~ Y Castell. Haunted by Gwen, the girl who died during that battle. Can a ghost and a human who is 400 years younger make it work? This is a very interesting book. I thought it a little odd to begin with, but couldn't put it down and finished it breathless. I read it in one day! Don't miss this one!! Sarah M Eden has created a story unlike any other she's ever written. 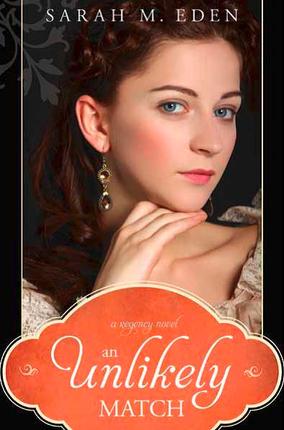 It's magical and fantastic how she added the supernatual in the regency era. I love it. I love it.